It seems as if the world’s perception of beatbox is still stuck in the late 70’s. Beatboxers are portrayed as Bronx-based sound mimickers of electronic beat box sounds - booms, baps, and click rolls - everyone wanting to be the next Doug E Fresh. 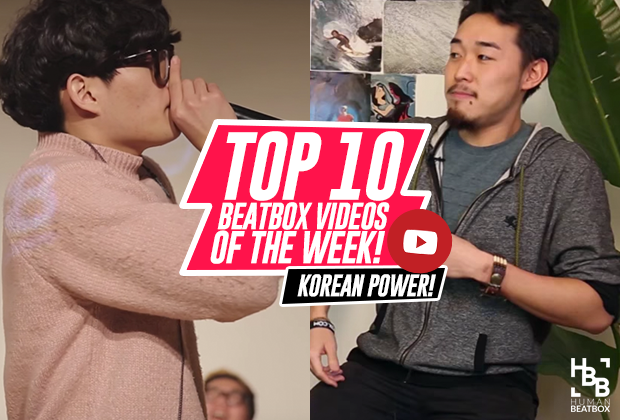 Only recently has this perception of beatbox been contested, perhaps due to the rise of Pentatonix, KRNFX, or some viral videos, but these guys are seen as outliers of the general population. Beatbox is not strictly hiphop anymore. Beatboxing, as we know it today, was invented in the mid 70’s around the same time that electronic beat boxes were invented. Doug E Fresh, Biz Markie, and Buffy lead the charge, popularizing beatbox sounds through their hot records flying off the shelves while hiphop started to flourish. Queen Latifah started her hiphop career as a beatboxer, for the girl hiphop group Ladies Fresh and Will Smith, by the name of Fresh Prince, rocked it on stage with DJ Jazzy Jeff and the revolutionary Ready-Rock-C. Soon enough, every emcee was touring with a beatboxer to open up their shows, but it posed one problem: everyone had a beatboxer and it lost its shiny sticker value. Beatboxing was always seen as a side act - a gimmick. They were imitators of sound boxes and served as backtracks for rappers to rhyme over. 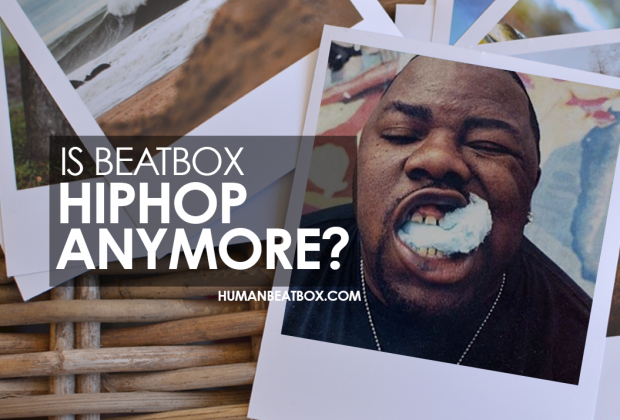 The hiphop industry carried on and neglected to incorporate beatbox as one of the elements of hiphop. Emceeing, DJing, turntablism, and b-boying sit at the core, while many continue to dispute what the 5th element is, a debate usually considering beatboxing amongst the pool of contenders alongside knowledge, language, fashion, and more. The 5th element was really only a term dubbed by the beatbox community and no one else. 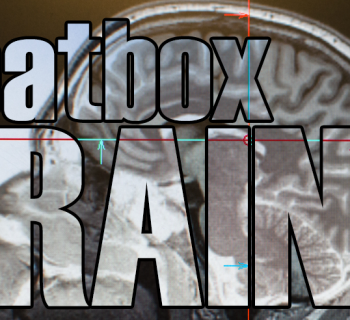 Soon after beatbox left ‘mainstream’ media, beatbox began to nurture a culture of its own. With such heavy roots in hiphop, beatboxers began battling across New York. Rahzel gives us further insight into what it was like in his interview with Beatbox Battle TV. Early battles were very much like hiphop, where winners would claim their territory while the losers would only return in vengeance to garner respect in that region by challenging and battling again. However, influential figures like Kid Lucky in New York City began to form jams and meetups for beatboxers to share sounds and showcase their interpretation of the art form. Our community started to take shape and create something new. Everyone has their own interpretation of what hiphop is. Some say it’s defined by self-expression, while others say it’s defined by innovation, or bringing awareness of socioeconomic issues to the masses. In this sense, we share hiphop’s core values. But here’s the kicker: our musical interpretation covers the entire spectrum of musical genres - and we are arguably creating a genre of our own. 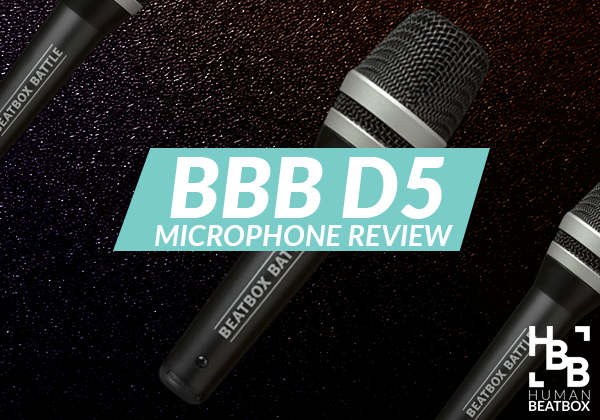 Beatbox is not just a backtrack to a rap verse or a gimmick to open up a show. Beatbox is now about creating full musical experiences with only the human voice. The ability to craft unique sounds by pushing the capabilities of the human body is something extraordinary - slapping a label on such a versatile art form truly does us no good. Great article, well researched, well discussed and it asked an excellent question. In my opinion, no, it’s not. and it hasn’t been since music became digitised in the late 1970’s. Just like you have singing quartets, opera singers or choirs; people can use their vocal chords to generate easy listening sounds. Beatbox is a vocal art and in the bigger scheme of things; sets its own musical genre apart from HipHop, Pop or anything in between. This article raised an interesting point when it clearly defined the difference between beatbox and HipHop; as the two are always seen as part of the same genre or it’s beatbox seen playing the musical support role for rappers, singers dancers etc when it should have its own clearly labelled entity. Beatboxers will never the same publicity as HipHop stars but hopefully one day it will create its own ripples in the history of music as a globally recognised vocal talent.